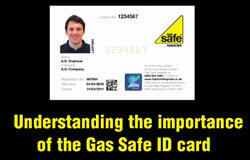 We are Gas Safe Registered Installers, and we work to a high standard and hold the relevant qualifications to undertake any type of domestic gas work. We make sure that we follow a strict guideline and British Standards when doing a job and abiding by the Health and Safety Commission Gas Safety (Installation and Use) Regulations 1998. We believe that we need to keep our customers happy as a priority, and we work 100% to ensure that this is met. Here at Home Comfort Plumbing and Heating we specialise in boiler servicing, breakdowns and boiler repairs, and we can usually attend and fix problems on the same day if parts are available. Home Comfort Plumbing and Heating undertake any domestic gas work i.e. gas pipe work, Boiler, Cooker and Fire Installations, Safety checks, Landlord checks, Ventilation, Flue flow Tests, new radiators, repair leaks and replace valves, floats and water tanks.